DoubleShotguns.com is a subsidiary of Lion Country Supply located in Port Matilda, PA. We have been in business for over 35 years and are specialists in quality shotguns and rifles. Lion Country Supply is well recognized at the World’s Premier Hunting Dog Supplier™ and we provide sporting dog enthusiasts’ worldwide a wide array of products for their dogs and gear to help enhance their outdoor experience. DoubleShotguns.com is the exclusive importer of the LCS Upland Classic™ Shotguns by Ugartechea. Ugartecha is one of Spain’s oldest quality gunmakers and are known for their craftsmanship, dependability, and value. Our Upland Classic guns are available in eight grades in both boxlock and true sidelock actions, ranging from 12 gauge to .410. DoubleShotguns.com is also an authorized Benelli World Class Dealer. We offer the full range of Benelli, Franchi, and Stoeger shotguns and are very familiar with each model. 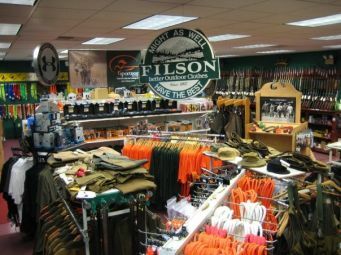 We look forward to assisting you select the right shotgun to accommodate your needs and budget. We also offer a substantial selection of new shotguns and rifles by other manufacturers and a wide range of previously owned guns (Automatic and Pump, Over/Under, and Side by Side Shotguns). We strive carry quality range of guns and are continually updating our website providing you with the latest availability.